Daniel Stackhouse has returned from a riding stint in Mauritius to ride a Cox Plate day winner. A trip to Perth is on the cards for Ashlor following his first-up victory on Cox Plate day at Moonee Valley. Trainer Dan McCarthy said he had entered the sprinter for the Winterbottom Stakes in December and victory in Saturday’s Strathmore Community Bendigo Bank Handicap took the gelding a step closer to the Group One race. 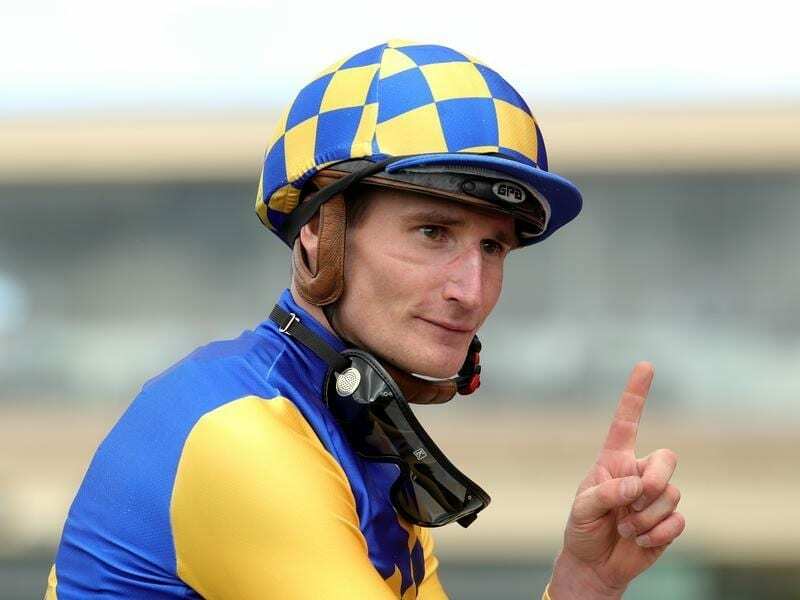 Ridden by returning jockey Daniel Stackhourse, Ashlor ($10) scored a long-neck win over $4.60 equal favourite Desert Lashes with the other equal favourite Invincible Al three-quarters-of-a-length back in third place. McCarthy said Ashlor’s rating was getting to the stage where the gelding needs to tackle better sprint races. “His rating is getting up there, so he deserves it,” McCarthy said. McCarthy said Ashlor would bypass the Flemington carnival and may run at Sandown on November 17 in the Doveton Stakes before heading to Perth. The victory was Stackhouse’s first ride back after returning from a successful six-month stint in Mauritius where he rode 18 winners, including two at Group One level. However Stackhouse tried to get off the ride believing he wasn’t fit enough after arriving home three weeks ago. “I’m a big fan of Stacky and his manager chased me for the ride,” McCarthy said. “He (Stackhouse) rang me on Wednesday and said he wouldn’t be doing me justice by riding him because he didn’t think his fitness was there.